Multiple Certifications from JIB and American Hospitality Academy. For all BS HRM and BS Tourism Graduates. 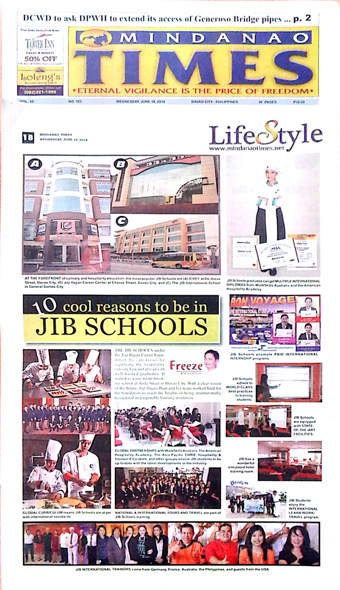 Great Opportunity for all JIB ISHTM Students - Only from JIB! I am sure all of you will want to have this international credentials side by side with your JIB Diplomas when you graduate. We are truly International! All of You when you graduate! No other school in Mindanao can make a difference in your career!